Dreamweaver is based around a WYSIWYG (What You See Is What You Get) development environment that is powered using the Presto layout engine (originally developed for the Opera web browser). Editing of web pages, is all done on the user's local (client) computer, and only when the changes are complete, are the edited files are uploaded to the user's web server. Dreamweaver incorporates a number of features that makes it well suited for use by professional web developers. These include the ability to access underlying the code behind web pages and edit it using a powerful syntax highlighting (keywords are automatically colored according to their function) editor, find and replace capabilities, the ability to convert HTML tables to layers and vice versa, and a template feature that makes creating multiple pages with similar structures into a breeze. Like many other Adobe applications, one of the best features of the program is that it is extensible. A wide variety of third party extensions are available that add additional capabilities to the program (ranging from graphics effects to complete ecommerce building systems) are available - some of these extensions are free, whereas others are commercial. Additionally, the program's ubiquity means that there are large numbers of people who know how to use the software, and many helpful resources available including Internet tutorials about books about Dreamweaver. Immediate access to all the latest updates and new features as soon as they're released. Develop more web content, more quickly. Dreamweaver CC gives you a streamlined interface and powerful new visual CSS editing tools that let you code efficiently and intuitively. Because Dreamweaver CC is part of Adobe Creative Cloud, you get immediate and exclusive access to all the latest updates and new features as soon as they’re released, and you always control when to download and install them. You can also conveniently sync settings between your computers; use 20GB of cloud storage for file sharing and collaboration; tap into a free and growing library of expert training videos from Adobe and others; and showcase your work on Behance. Download, install, and run the full version of Dreamweaver CC on your own computer, and conveniently manage your subscription from your games and software library. Use intuitive visual editing tools to generate clean, web-standard CSS code. Inspect and highlight elements in Live View in real time while you interact with the CSS designer. A new rendering engine in Live View displays web content with the same performance and HTML5 support available in Google Chrome. 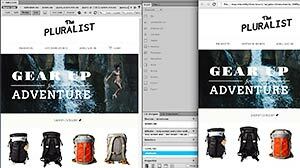 Add web fonts from within Dreamweaver using the vast and ever-growing Adobe Edge Web Fonts Library, powered by Adobe Typekit. Generate clean, web-standard code with intuitive visual editing tools. Quickly apply CSS properties like gradients and box shadows. Usability enhancements and a new color picker improve productivity by speeding up visual CSS editing workflows. Live Highlight: Visualize the relationships between the HTML elements in Live View and applied CSS selectors. Inspect and highlight elements in Live View in real time while you interact with the CSS Designer. Modernized Live View: A new rendering engine in Live View displays web content with the same performance and HTML5 support available in Google Chrome. Now you can spend more time in Dreamweaver and less time switching in and out of the browser to test your content. Fluid Grid Layout: Construct web designs and responsive layouts visually. The enhanced Fluid Grid Layout interface makes it a cinch to design projects that display on different screen sizes for desktop and devices. Edge Web Fonts: Bring expressive text to the party. 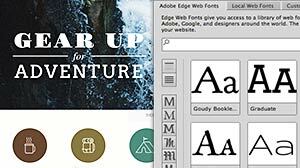 Use the vast and ever-growing Adobe Edge Web Fonts Library, powered by Adobe Typekit. Add web fonts from within Dreamweaver and Edge tools. Add beautifully styled typography with more control while creating pages that load super quickly. jQuery UI widgets: Banish boring buttons and generic icons. Drag and drop jQuery UI widgets. Add accordions to display collapsible content panels. Update all the button states to customize your mobile apps and interfaces. Streamlined workflow: The modernized Dreamweaver CC interface is simpler, with smoother workflows. 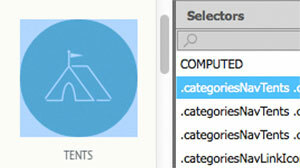 Contextual menus let you apply settings more intuitively, so you can develop more efficiently. Improved Code View: Code more efficiently with an improved Code View, which incorporates highlighting for line numbers and matching tags. 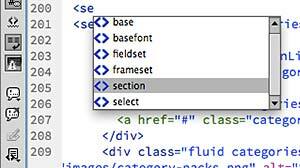 New CSS selector code hinting includes preference support for color customization. Ongoing feature updates: You always have access to new features as soon as they’re released. Just download the latest whenever you want. Sync Settings: Log in to Creative Cloud from any computer and sync your preferences, site settings, custom workspaces, and keyboard shortcuts. Customize your workflow once and take it with you wherever you go. 20 GB of storage on Creative Cloud: Work on files at the office, from home, or on your tablet. Easily share your audio projects with clients or colleagues. Expert training: Sharpen your skills and master new tools with a growing library of exclusive video tutorials and inspirational content from experts at Adobe and leading partners. Access to Mac OS and Windows versions: You can install Dreamweaver CC on your main computer as well as on one backup. Behance: Your Creative Cloud paid membership comes with the Pro features of Behance, including ProSite — a fully customizable professional portfolio. 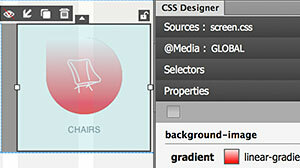 CSS3 transitions: Animate changes to CSS properties to create custom transitions. Build interfaces that pique visitors’ curiosity and make their experience more enjoyable. Maintain greater control of web design as you fine-tune page elements and create captivating effects. jQuery and jQuery Mobile support: Use the familiar Dreamweaver workspace to build designs that reach new audiences on mobile devices. Use integrated jQuery Mobile support to build native mobile apps for iOS and Android platforms. Create projects for devices using a simple mobile development workflow. PhoneGap Build Support: Build and package native apps for Android and iOS. With support for the Adobe PhoneGap Build service in Dreamweaver, you can convert existing HTML pages to mobile apps. Test your layouts with emulators before you sync files to devices. Streamlined HTML5 audio and video: Enhance your desktop and mobile projects with entertaining sounds and movies. Easily add HTML5 audio and video to your websites and applications. The clean interface and code hints make the process of inserting rich media faster and more efficient. Easy HTML5 element insertion: Use the convenient, centralized Insert panel to quickly add HTML5 tags and common page elements. The panel is arranged into helpful categories to make options easily discoverable. Integrated CMS support: Author dynamic, data-driven sites using content management systems such as WordPress, Joomla!, and Drupal. Find the code you need to update quickly with the Dynamically Related Files feature. Live View Navigation gives you accurate previews of your pages and apps. The enhanced Fluid Grid Layout interface makes it a cinch to design projects that display on different screen sizes for desktop devices. Do I need an Internet connection to use Dreamweaver CC? Q: If I decide to leave Creative Cloud, will I lose access to my files? A: When you create files with any of the creative apps from Adobe, the files are yours. Adobe doesn't take any ownership of those files. When you save your files to Creative Cloud, you'll always have a local copy of them. Even if you cancel your membership, your files remain on your local hard drive. And you'll always have access to a free level of membership that provides 2 GB of storage for files. With Dreamweaver CC, will I be forced to always run the newest version? A: You will always have access to the latest version, but you won’t be forced to upgrade. You can continue to run whichever version you want until you’re ready to download and install the latest version. You will also have access to older versions of the software to download, starting with CS6. Q: What are the differences between the Dreamweaver CC single-app membership and a Creative Cloud complete membership? A: In addition to all the features of the Dreamweaver single-app membership, a complete membership also gives you the latest versions of all the other Creative Cloud desktop apps, including Photoshop, Illustrator, InDesign, Adobe Muse, Flash Professional, Adobe Premiere Pro, and After Effects, as well as Adobe Acrobat Pro, Photoshop Lightroom, and many more. Creative Cloud complete membership delivers everything you need to create, collaborate, and publish — all in one place. Please check the ISBN that your instructor provided. If the ISBN-13 does not match this product (9781285192567) this may not be the correct product. In some cases, you may also require a course code from your Instructor. Discover all that Adobe Dreamweaver CS6 has to offer! Whether you're looking for a thorough introduction to Dreamweaver or a reliable reference for your web design and development work, this proven resource is an ideal choice. ADOBE DREAMWEAVER CS6 REVEALED combines vibrant, full-color illustrations and clear, step-by-step tutorials to help you master the industry-standard web development software. In addition to detailed information on the current Dreamweaver interface, features, and functionality, the guide includes hands-on projects and real-world case studies to help you hone your skills and appreciate their professional relevance. The book highlights features new to CS6 and explores cutting-edge web standards and design trends, including CSS3 best practices, HTML5 layouts, multiscreen preview, and media queries for mobile devices. Additional online tools and content—including HTML5, Flash, and video files—enable you to apply what you learn by developing actual web content. The author, an experienced design professional and award-winning educator, also emphasizes fundamental web design principles, helping you develop knowledge and skills that go beyond a specific software package and can serve you well throughout your career. The Data Files used to complete the projects found in the book are now available online. For access information please refer to the directions available in the preface of the book. Stunning Websites with No Programming Involved! 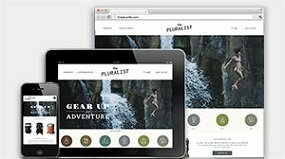 Discover how to start creating pro-quality sites with absolutely no programming through the creative fusion of Adobe Photoshop CS3 and Adobe Dreamweaver CS3. This easy-to-follow DVD shows you how these two powerful applications make building dynamic, full functional websites easer than you ever imagined. Created for art directors, Web designers, and serious design students, Adobe Photoshop CS3 and Adobe Dreamweaver CS3: Creative Integration gets you on your way yo designing Internet sites that will thrill and astound your clients.